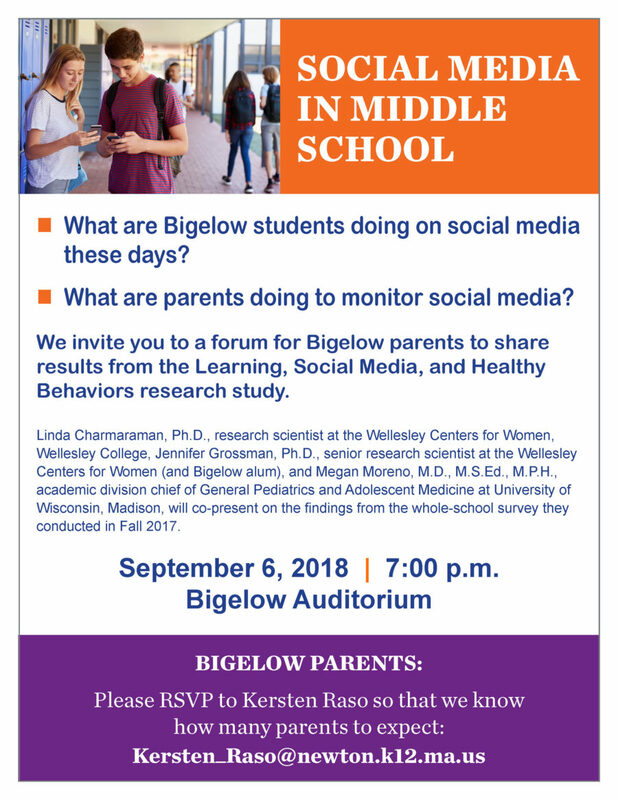 Bigelow is hosting a special event for parents on middle school students’ use of cell phones and social media on Thursday, September 6, at 7:00pm. Researchers from Wellesley College will be at the Bigelow Auditorium to present preliminary results of a study that they did with Bigelow and other schools last year on this important topic. Here is a flyer with more information. Please rsvp to Kersten_Raso@newton.k12.ma.us if you are interested in attending.